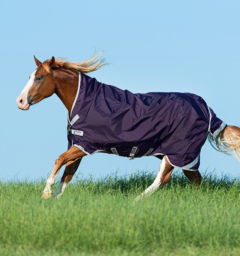 The ultimate in heat retention and comfort. 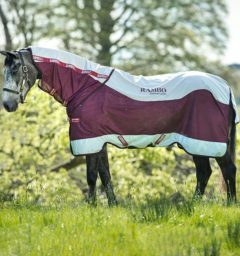 The Rambo Supreme is our best selling turnout because of its superior heat retention and maximum comfort. 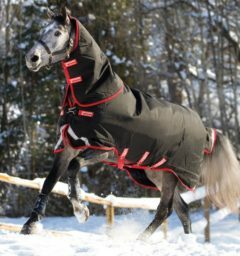 Cut from the strongest and most durable turnout material on the market – Ballistic nylon, this rug is waterproof and highly breathable. 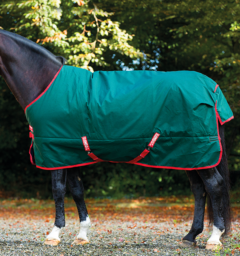 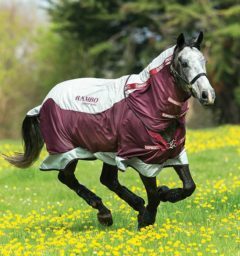 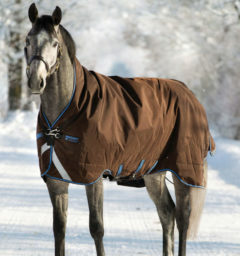 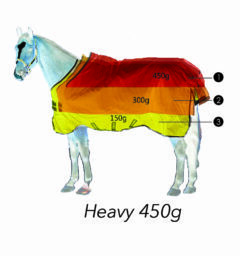 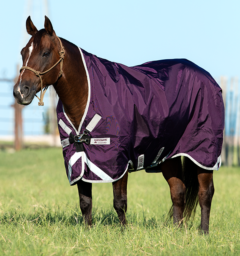 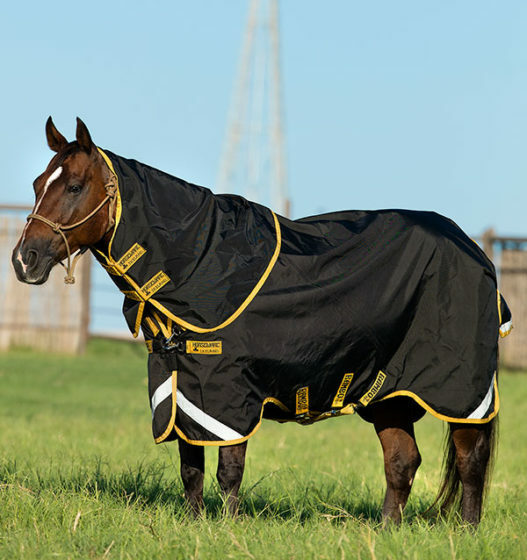 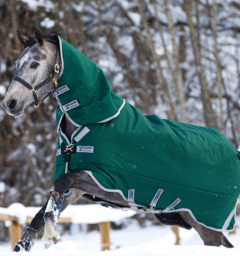 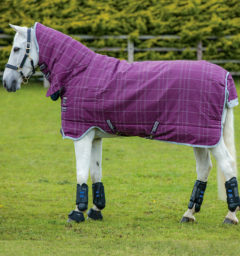 Features of this rug include Surefit neck design, V-Front closure, leg arches, reflective strips, wipe clean tail cord, liner loops, three secure cross surcingles, shine enhancing polyester lining, detachable hood included. 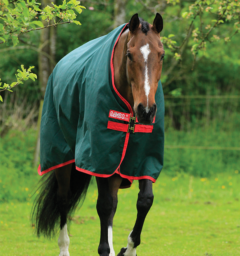 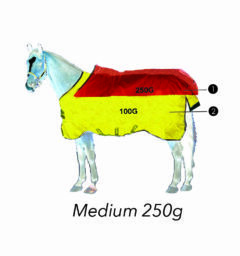 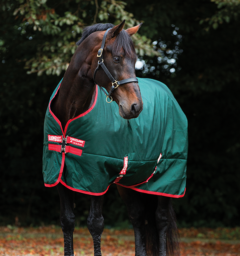 Surefit Neck design with V-front closure to give the ultimate freedom of movement to graze. 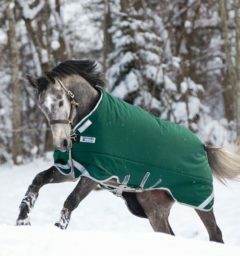 () Customer Review(s) on "Rambo® Supreme (0g Lite)"